In this article, you’ll learn everything about inheritance in R. More specifically, how to create inheritance in S3, S4 and Reference classes, and use them efficiently in your program. Inheritance is one of the key features of object-oriented programming which allows us to define a new class out of existing classes. This is to say, we can derive new classes from existing base classes and adding new features. We don’t have to write from scratch. Hence, inheritance provides reusability of code. Inheritance forms a hierarchy of class just like a family tree. Important thing to note is that the attributes define for a base class will automatically be present in the derived class. Moreover, the methods for the base class will work for the derived. Below, we discuss how inheritance is carried out for the three different class systems in R programming language. S3 classes do not have any fixed definition. Hence attributes of S3 objects can be arbitrary. Derived class, however, inherit the methods defined for base class. Let us suppose we have a function that creates new objects of class student as follows. Furthermore, we have a method defined for generic function print() as follows. Now we want to create an object of class InternationalStudent which inherits from student. This is be done by assigning a character vector of class names like class(obj) <- c(child, parent). We can see above that, since we haven’t defined any method of the form print.InternationalStudent(), the method print.student() got called. This method of class student was inherited. Now let us define print.InternationalStudent(). This will overwrite the method defined for class student as shown below. We can check for inheritance with functions like inherits() or is(). 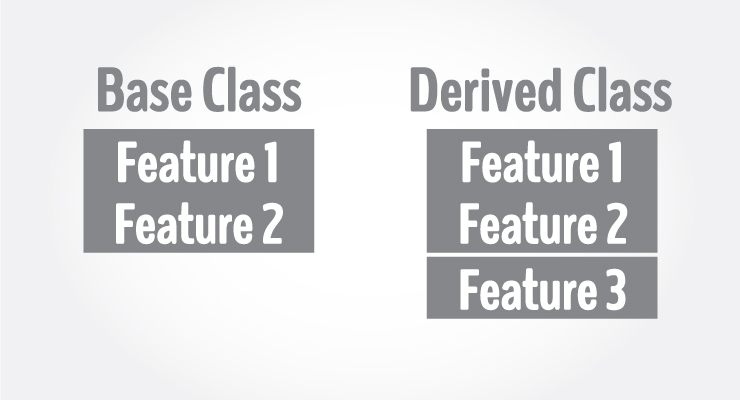 Since S4 classes have proper definition, derived classes will inherit both attributes and methods of the parent class. Let us define a class student with a method for the generic function show(). Inheritance is done during the derived class definition with the argument contains as shown below. Here we have added an attribute country, rest will be inherited from the parent. We see that method define for class student got called when we did show(s). We can define methods for the derived class which will overwrite methods of the base class, like in the case of S3 systems. Inheritance in reference class is very much similar to that of the S4 class. We define in the contains argument, from which base class to derive from. Here is an example of student reference class with two methods inc_age() and dec_age(). Now we will inherit from this class. We also overwrite dec_age() method to add an integrity check to make sure age is never negative. Let us put it to test. In this way, we are able to inherit from the parent class.